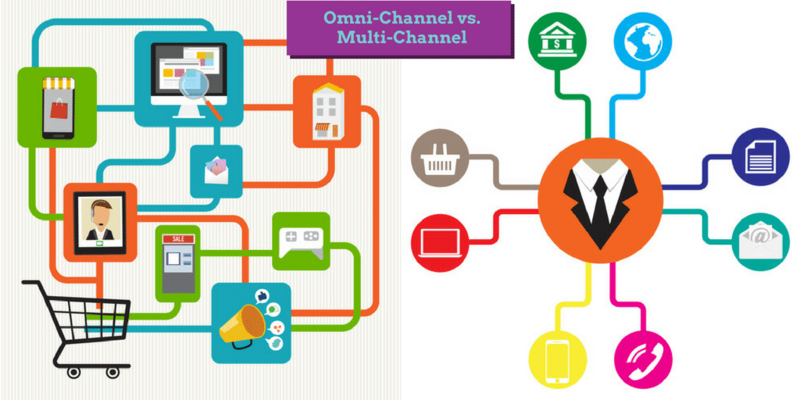 Omni-channel is one of the latest buzzwords to take the marketing world by storm. It’s been around for a while now, but only recently have we really started to see more businesses using it. In this guide to omni-channel marketing, you’ll learn what omni-channel means, how you can use it and see some examples of omni-channel marketing in action – basically, everything you need to know about Omni-Channel marketing. The Internet has changed a lot of things for marketers, but particularly when it comes to customers’ expectations. Because of this, businesses have had to constantly find new ways of promoting themselves and of presenting their product offering to potential customers. But the biggest change is that customers now have very different expectations from the ways they interact with businesses, online and offline, to the ways they buy. Omni-channel is the response to this need and the next logical step in marketing: a personalized, seamless experience for the customer from start to finish. 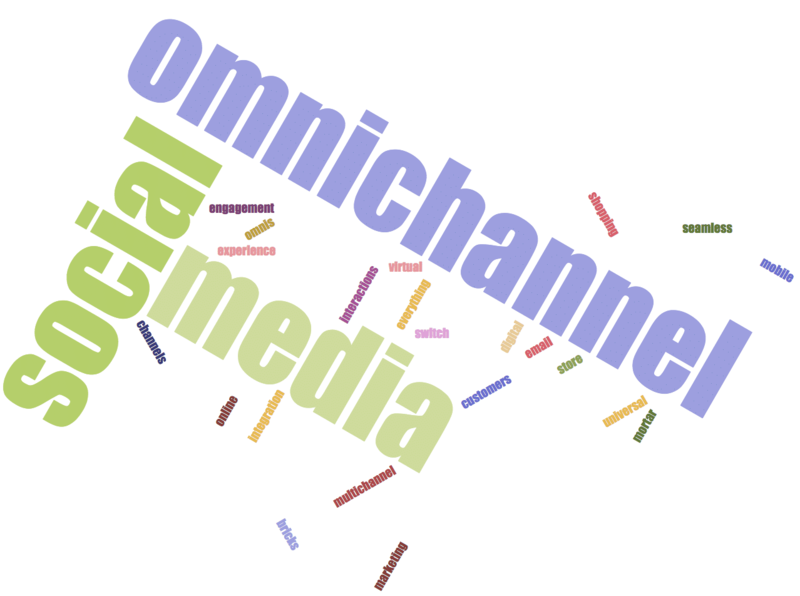 In order to understand what omni-channel means, we can look at the terminology. Omni comes from the word “omnis”, which means “universal” or “everything”. Basically, omni-channel marketing means creating a seamless shopping experience, where customers and potential customers can easily switch between channels, whether they be mobile, a bricks and mortar store or social media. Customers also have more access to more information than ever before. They’re not just going into a shop, getting what they need and then get on with their lives. Now, customers are researching more, checking out reviews online, checking opinions on social media and they are also engaging with companies on multiple platforms. You might think now, well, that’s what multi-channel marketing is all about. And that’s all good, but customers now want more than access to a business through multiple different channels – they expect a seamless experience as they switch between these channels, particularly when multiple channels are used at the same time. Now you’re probably thinking this sounds a bit bogus and omni-channel is just a fancy new way for marketers to call multi-channel marketing. And, on paper, they do sound very similar, there’s no denying that; but, I’ll attempt to explain what makes the two fundamentally different, at the end of the day. Multi-channel marketing is all about using multiple channels to reach out to your audience; and sure, marketers know all about the need for consistency across these different channels. But, as much as they might try to make them all consistent with the brand values, brand look and so on, the issue is, customers will not have the same experience on each of these channels and there will be some inconsistencies. And the thing is, they will likely use multiple channels, even at the same time. Studies have found that 43% of customers have used their mobile device while shopping in a bricks and mortar store and that number is only going up from here. It might be something that you’ve done yourself while shopping. For example, you could be looking into buying a camera. While in the shop, you will probably look up reviews, similar products and pricing. You might find another camera you like on their online shop, but then when you go to look for it and buy it, they might not have it in stock and the website is outdated. This could be a big problem for that store, as the customer will likely take his business elsewhere. But omni-channel is more than that; it’s also about creating a more pleasant experience for the customer, for example by using their online browsing patterns to make recommendations while they’re in your shop. Or providing them with a tablet in the changing room so that they can have more things delivered for them to try on, without them having to get out. To sum it all up, multi-channel marketing is all about using multiple channels to communicate to and with the customer, while omni-channel marketing is all about integrating all of these different channels in order to create a more seamless and personalized experience for the customers. An omni-channel strategy means the customers always come first, and every marketing move is made with them in mind. Omni-channel marketing aims to not only create a better customer experience, but it also encourages repeat purchases. Through personalized recommendations, easier shopping and so on, the customer is more likely to make more purchases. Repeat customers are, as we all know, the best customers – they generate half of the total revenue, meaning that if a repeat customer leaves you, you will need to get 5 new customers in order to make up for it. With omni-channel marketing, you encourage repeat buys, as well increase loyalty, which will affect your overall return on investment. 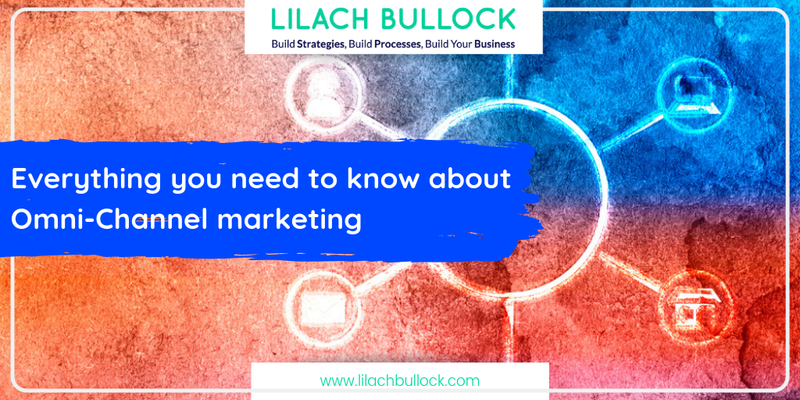 You will also be able to learn more about your customers, which means you’ll be able to improve your marketing and make it more personalized and targeted. Now that we’ve gone through what an omni-channel marketing strategy is and how it differs from multi-channel marketing, let’s go through how you can get started with your own omni-channel strategy. First things first, you need to understand your customer better. The more you know about them, the better you will be able to personalize the experience. Then, you need to start researching your own company by putting yourself in your customer’s shoes. You have to be able to understand what the process is like for the customer in different stages of the buying process. You can do this either by yourself (or someone else from within your company) or by getting a specialist. When they are researching the product: customers have different ways of researching a product and you need to go through all of them. They could be doing it online, or in store, and an increasing number of people are combining the two by researching online and in-store as well, and this can be at the same time or at different times. When they are in the process of buying a product or service: research what the buying process is like on different platforms, both online and offline. When they need customer service: what platforms are available to your audience for customer service? Research all of them and see what the process is like when you switch between platforms for customer service. Are you getting different responses on Twitter versus by phone? Or email versus live chat? This is something that’s happened to me a number of times, most recently when I had some issues with my broadband. I had to contact the company via different platforms, which led to quite a few major inconsistencies, including negating an offer that I got from one channel on a different one. By the end of it, I got so fed up with them that I decided it wasn’t worth the hassle anymore, and had to change the company altogether, rather than have to deal with all of this again, just because my internet wasn’t working. Once you are better informed over what the customer experience is really like when dealing with your company, you will be able to see what needs to be changed in order to create a better, more integrated experience. Next, you need to start working towards integrating all of your different channels. In order to do that, you need to come up with a plan, complete with the exact goals you want to achieve, that you can then communicate to your different departments. Make it so that everyone on your team is aware of the changes you want to make to your overall marketing strategy and then you need to give them the tools they need to be able to collaborate between them, as that is an essential part of an omni-channel strategy. A good place to start is by using a centralized customer relationship platform which all different department need to use. Any time someone from your company interacts with a customer, they should enter all of the details into that centralized platform, so that if a customer uses a different channel, those managing it will be completely up to date and will be able to take the conversation from where it was left off. This can make a huge difference in terms of the customers’ perception of your brand and how you deal with customers. It will help you improve loyalty, which in turn, leads to better ROI. But where omni-channel marketing can really stand out is when you integrate digital and offline to create a completely different experience for your customers. What you can do here, though, depends a lot on your budget; but, also on your creativity. For example, you can create an app that your customers can use in store to help them browse the shop, buy directly from within the app and send out social media updates with where they are, what they’ve bought and so on. Another way of integrating is by sending out personalized notifications to your customers based on their location, using the information you know about their likes and preferences – see the Barneys New York example further on, for how this can be used successfully. I want to give you some examples of amazing existing omni-channel experiences, to give you an idea of how far you can take omni-channel marketing and how much of a difference it can make with the customer experience. 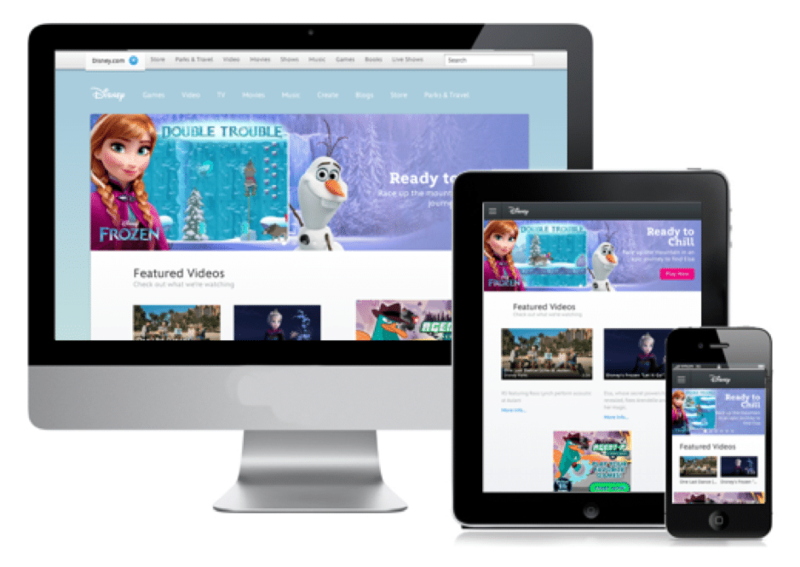 Disney have always been at the forefront of exemplary marketing practices and omni-channel is no different. With Disney World, they’ve managed to create an amazing experience for their customers, one that not only makes for a much more fun trip for both the parents and the children, but also one that makes you want to keep coming back to them. There’s really no other way to describe a trip to Disney World other than this: a complete experience. It starts from the moment you research your trip and buy your tickets, continues as you get to your destination and it ends after you’ve returned back home. The whole experience has a very clear purpose: to make your entire trip better, more relaxing, exciting, more fun and most importantly for the parents, a lot more stress-free. First, you start by researching the parks so you can buy your tickets and there are two main channels that you can use for that: the Disney website and the Disney app. As you do, you can explore all of the different attractions, restaurants and any other entertainment and you can also start your planning, by creating wish lists and creating your itinerary. Their website works great on all platforms and you can easily switch between them as they remember your choices and plans. You can also use the My Disney Experience tool to get the whole family involved in the planning process and decide what it is you want to do once you get to your destination. When you finally do arrive at your destination, the kids all starry eyed about all of the things they’re dreaming to do, all members of your party get the Disney Magic wrist band, which you can use for basically anything: use it as a hotel key, as a Fast Pass for rides, as a ticket for the parks and generally as the primary payment method once you’re at Disney World. 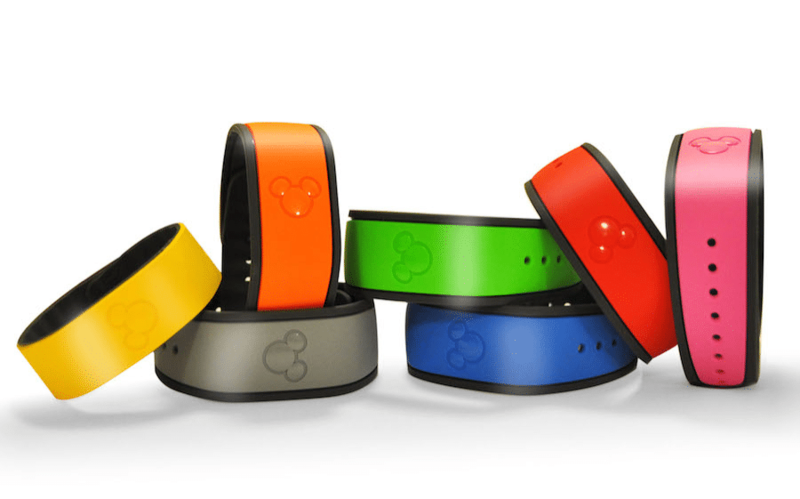 Not only that, but any pictures taken in the Park by professionals will be registered to your wristband and instantly uploaded to the Disney app. You can actually leave everything in your hotel room and just use the wrist band for all of your needs. You also have the Disney App that you can get on your phone to make your life even easier. With it, you can explore the park virtually directly on your phone, make plans, book your restaurant, find out to get around the park and find out what the wait times are for different rides so that you don’t lose any precious fun time. Basically, anything you could possible need to have a great experience is either in your phone or on your wrist. As you can imagine, this makes the whole trip much more relaxing for everyone involved. Disney, in turn, is getting a lot of information on you and your family (not as scary as it sounds!) – what you’re buying, what your favourite attractions are and so on. They can then use this information to further optimize the experience for you, the next time you interact. The issue is, of course, that most businesses don’t exactly have the budget that Disney has to create such a complex omni-channel experience. But, it can still give you a good idea of what an omni-channel strategy is like when it’s in place and give you some ideas of how you can use the same thinking for your own business. Barneys New York have found a unique way of integrating digital into their new flagship store in downtown Manhattan. 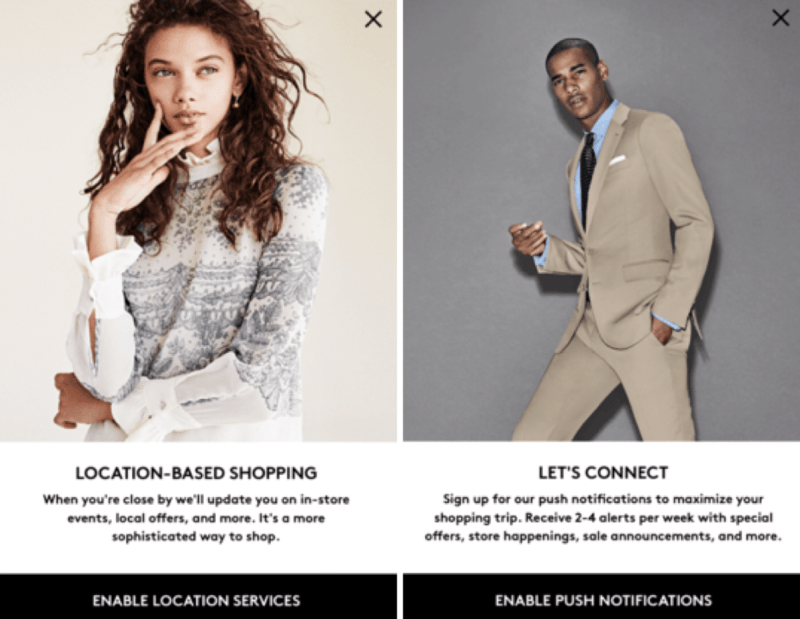 They are using a complex personalization platform that lets them send personalized content to each shopper, as users sign up to get notifications for location-based shopping or notifications for special offers and store happenings and events. What they do is they track your behaviour online and they can see what your browsing patterns are like on their store’s online publication as well as what you’ve added to your shopping bag or wish list. When a shopper is near the store or inside, they will then get push notifications where they are told about any local offers or events, but more impressively, they will get a notification when they are near an item that they had in their wish list or in their shopping bag, but haven’t bought yet. Another very impressive omni-channel marketing pioneer is the Van Heusen flagship store in India. The whole experience starts simply enough: upon entering, you’re greeted by a 42-inch digital display called “today’s briefing” where you can see any relevant information about the store, any new additions, styling tips, the “look of the day” and more. Just next to the digital display there’s a Fit Scanner, which is an infrared device where you can scan yourself to find out your exact measurements, so that you can find the perfect sizes clothes. Next, you go to the Style Bar digital display, where you have to answer a few questions about yourself and your style, so that you can get up to 20 different personalized recommendations for looks that will match your personal style. What’s really great though, is that you won’t even have to try them on to see what you would look like wearing these clothes. 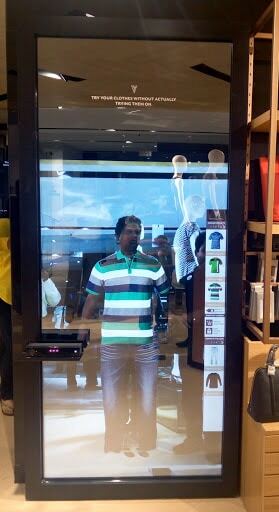 Rather, use the Virtual Trial Mirror, which basically lets you try on the clothes you like virtually. The Van Heusen shop in India is a truly exemplary way of integrating digital into physical stores and I for one can’t wait to see more shops using this type of technology to make shopping an immersive and highly entertaining experience. Omni-channel marketing is most likely the future of the shopping and customer experience. As technology is constantly evolving, at a very rapid pace, customers want more of this technology to be integrated into their shopping experiences. It starts from the little things, such as getting the same response on social media as you they would in store, and ends with…well, there’s no telling the possibilities where omni-channel marketing could take us. Here is what you need to remember about omni-channel marketing: the need for personalization, for a seamless transition across different channels and perhaps most importantly, that the customer should be at the center of all your marketing. Everything you do, should be done with the customer in mind. By creating such a strategy, where the customers get the best possible experience every time they interact with your brand, you will manage to improve loyalty and generally build stronger relationships with your customers. And the more you are able to do that…well, the better your return on investment. PLEASE !!! Your Customer doesn’t care about channels. 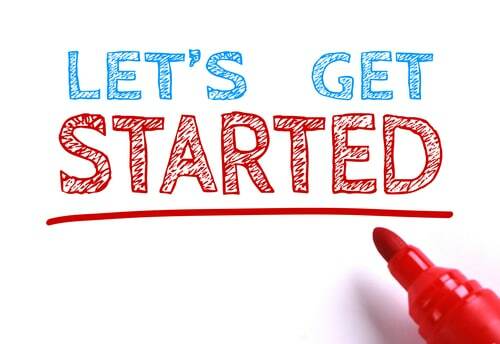 Fokus on the next step of your custommers and offer them on a 1:1 base what they need at the moment…. For sure you are working on channels, but keep this channel thinking out of your mind! That’s the most important transformation needs to be done in marketing! Hi Sven, many thanks for leaving a comment. I believe that it’s important to make the process as easy as possible for customers and that definitely includes all of your different channels. It might not be an urgent matter now, but it’s what we’re rapidly moving towards; customers want quick and easy responses to their problems and they are increasingly expecting a unified experience. Personally, I’ve had to leave multiple companies because of the way they handled their customer service and how I’d get different responses based on the channel I was using to contact them (phone, email, social media and so on).